Join Pohoda Festival Official to like, share and contribute to the conversation. Dear Viber friends, we will close the community again for some time. In this way we can inform you better about Pohoda news. Thank you for all your input! AFTERMOVIE POHODA 2018: When the director of Pohoda Acoustic session, Boris, saw the last song of Jamie Cullum’s concert, he immediately knew he wanted it as background music for the aftermovie from Pohoda 2018. Jamie’s energetic take on his song Mixtape with the fantastic reaction from Pohoda attenders was one of the many highlights of this year. It’s impossible to capture all the beautiful situations in one video and that is the reason the Roadtrip Studio focused on every year’s unquestionable highlight – the great atmosphere created by our best festivalgoers. Pohoda 2019 will feature also the British MC/rapper and the grime star, Skepta. He and his brother Jamie (Jme) founded collective and label Boy Better Know. They also collaborated on the latest album, Konnichiwa, for which he was awarded the Mercury Prize (leaving behind Radiohead and David Bowie), and Apple Music editors labelled it the album of the year 2016. In recent years he has collaborated with Dreake and Pharell Williams, and he also features on A$AP Rockyʼs hit “Praise the Lord (Da Shine)”. At the ranker portal, Skepta is on the top of The Best British Rappers of All Time and The Best Grime Artists charts. He will show the reason why to the visitors of Pohoda 2019 on Thursday night at the main stage. During his premiere in Slovakia, he performed solo. During his fall tour, he was accompanied by his brother Dan playing saxophone and the next Pohoda will see him with his band as part of the European premiere of The Donny Benét Show Band. Yesterday we announce Lola Marsh for Pohoda 2019. A musical love at first sound: that’s how we could describe the relationship between Pohoda, its visitors and the band from Israel, Lola Marsh. As an unknown band, they played our main stage during their Slovak premiere in 2014. The chemistry worked right away. A tour, several solo concerts as well as other gigs at Pohoda followed. A year ago, they played their biggest show in the Refinery Gallery with a special addition to their setlist: an unforgettable cover version of “Čerešne” that 1,500 deeply moved people sang along with Yael. Since their premiere, Lola Marsh played Slovakia every single year and, this time, it won’t be otherwise. On Thursday evening, they will open the program on Pohoda 2019’s main stage. And today we added the eccentric UK artist Natalie Sharp (Lone Taxidermist) with her new project BodyVice. 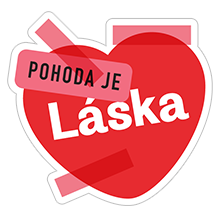 The Pohoda sticker pack 2018 is temporary available again for download on Viber from 1st March - 1st April. Pohoda will continue its partnership with Viber for Pohoda 2019. The Pohoda sticker pack 2018 became a huge success on Viber. The English stickers had more then 320K downloads, the Slovak pack over 33K & the Czech pack around 28K. 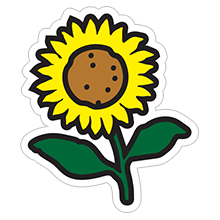 The sticker pack was created by the Milk studio and includes stickers as, ‘Pod’me na jedno’(Let's have one more, beer), a smiling sunflower or ‘Pohoda je Láska‘ (Pohoda is love). 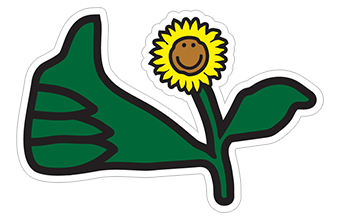 The sticker pack is downloadable in Slovak, Czech & English till the 1st of April 2019. 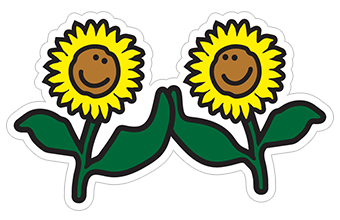 Later this year we expect to release a brand new sticker pack designed by our in house graphic designer Tereza Maco. 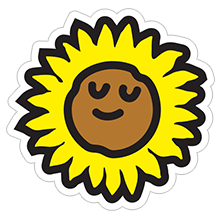 If you don’t have it yet, just tap on one of the stickers to download the pack. Dear Viber friends, we are very curious about which artist are you most excited at Pohoda 2019! That is why, we created this poll in which you can vote for your top artist. So vote, and let us know who you love the most! Which artist are you most excited at Pohoda 2019? Dear Viber friends, thank you for all your answers in the poll! We are glad you took part and showed us which artist performing at Pohoda 2019 are you most excited about. Also, we are happy to see that each artist in the poll has his fans. Based on the numbers it seems that Liam is the number one for most of you, as he got 20 votes from 45 which is amazing! Hello friends! To have a slight peak into the behind scenes of the Pohoda 2019 preparation, we are starting our Office Interview Sessions. In these regular sessions we will introduce you to our Pohoda team members responsible for the organization of the festival. Today we'll start with our charming colleague Lucka. Lucka is responsible for Pohoda merchandise, office & NGO's. She will tell us more about her work at Pohoda and also, about the Teacher's Day Offer which we have announced last week. Lucka, can you describe in few sentences what does your work at Pohoda entail? What are the most common tasks you do? 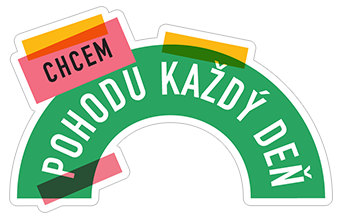 I am responsible namely for Pohoda merchandising, ticketing and everything connected to our Pohoda e-Shop. In a few words - from working closely with our graphic designer Tereza, on new merch proposals to communicating with suppliers who make the products, up to getting in touch with customers who order our tickets and goodies. Besides that, I am also behind the selection process of NGO´s at our NGO Passage at the festival. I also try to look after smooth running of our office life in Svätý Jur, but lately we have come up with a cool system of changing "weekly duty" among the team members - every week there are two people who look after cleanliness at the office plus as a bonus, once a week they cook lunch for the whole team. You are working at Pohoda for one year already, how would you describe your experience? How do you like it? And what do you like the most and (if) the least about working at Pohoda? I would definitely describe the experience so far as rewarding. The team is very dynamic, each member is absolutely unique and different from one another and strangely enough I feel we work not only as colleagues, but as a family. According to my previous work experience, I believe that Pohoda has more tangible social impact than anything I had worked on before. 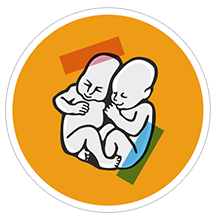 It´s not only one of the biggest cultural events in Slovakia, but it always reflects on the major issues within the society (such as concerts for Ján and Martina, events on November 17th etc. ), that´s why it´s really easy for me to relate to what I do. Last week Pohoda announced Teacher's Day Offer, and you are the one behind this process. Can you tell us more about this offer? Why Pohoda made this offer? For whom this offer is? And what needs to be done to get a discount? The Teacher´s Day Offer is a special ticketing offer on the occasion of the upcoming Teacher´s Day on March 28. Teachers and students are entitled to buy Pohoda tickets for a discounted price 89€/each (limit - 2 tickets per person). We have already sold out twice 283 tickets via this offer, but there is a last chance for all the ITIC/ISIC/Euro26 card-holders to purchase such a ticket again - we will put in place extra 283 tickets for 89€ on March 28 at 10:00 am. This time, each teacher or a student can only buy 1 discounted ticket per person. All you have to do is insert the number of your ITIC/ISIC/Euro26 card when placing the order. Good luck for making it on time. And lastly, what are you most excited about at Pohoda 2019? That´s one of the hardest questions as the line-up is looking way too good so far... But I´ll be glad to see Michael Kiwanuka, Lianne La Havas, Charlotte Gainsburg, the one and only Donny Benét, Sofi Tukker... and all the rest. Wish I had the chance to be a visitor instead of an employer for the three days. Thank you for a nice chat, and good luck with all the great work you do to make Pohoda 2019 amazing! Hey Viber friends! We have announced a new name today. The Californian band Death Grips will play at Pohoda 2019! With their extremely vigorous mixture of experimental hip-hop, industrial noise electronics and punk rock, they earned recognition from music critics and fans all around the world and were marked as one of the most interesting bands of this decade. Regardless of your genre preferences, we recommend their show at Pohoda 2019. Hello our Pohoda friends, hello Bazz, today we prepared another interview for you! This time however, it will not be with someone from our office, as today we will have a conversation with Bazz from Bazzookas, a Dutch ska-rock band who will be playing at Pohoda 2019. To make it even more special, we will do this interview through voice messages. Hello friends! This week there has been a new announcement. The Siberian-Saint Petersburg avant-garde band Shortparis will come to play at Pohoda 2019. Their music is somewhere between dark electro, post-punk or noise; in the live version, in addition combined with performative-theatrical acts. Gigwise or Louderthanwar journalists have praised them highly and we believe they will also impress the Slovak audience. Besides the announcement we have another great news for you! Pohoda is a part of a Viber Easter Campaign and this week we are getting ready for it by hiding our Pohoda Easter Egg in the Community. Look closely in the picture above and you might see how our egg looks like. To learn more about why you need to see the egg > go to the bot, link will be shared on 10th of April, and start the hunt! Besides the announcement we have another great news for you! Pohoda is a part of a Viber Easter Campaign and this week we are getting ready for it by hiding our Pohoda Easter Egg in the Community. Look closely in the picture above and you might see how our egg looks like. To learn more about why you need to see the egg > go to the bot and start the hunt! From tomorrow on, the competition continues again. Just like last week, we'll hide a new egg which you can find and thus join the game. Tomorrow, we’ll add here the link to begin another Easter hunt.